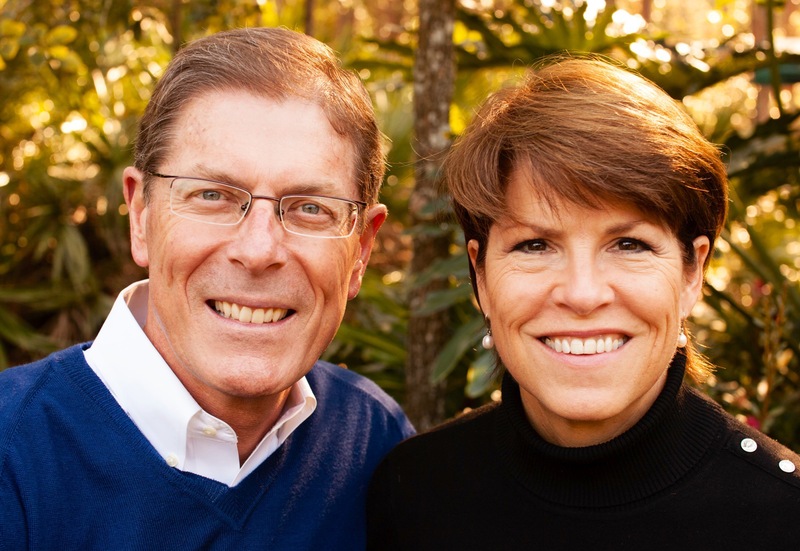 When my wife, Dallas, and I started with Wycliffe Bible Translators in August of 1983 we signed up for Bible translation because of the impact of God’s Word in our own lives. There were people in the world who couldn’t understand the Bible and they had a right to have access to it. I believe there’s nothing God cannot express in everyday language, in the language people use every day—their mother tongue. And when he speaks, he becomes a part of their culture; he is no longer a foreign God. I love the story of the raising of Lazrus. I agree with James Martin, it is Jesus’s supreme miracle demonstrating the power of God even over death. Jesus doesn’t ignore death in this story but he disregards and defeats it. A few days later, with his own death and resurrection, he proves he will also one day destroy it. This is a stunning example of the life-giving word. Jesus’s words literally give life to Lazarus. John says Jesus spoke in a “great voice.” Why? We’re left to speculate but let’s assume he spoke with authority so that all would hear leaving no doubt. That’s what the miracle was intended to do anyway; that’s why he waited four days to come after he was called to come. Lazrus was dead and his spirit departed. (Many Jews of the time believed that the soul hovered around the body for three days, so Lazarus is meant to be seen in John’s Gospel as dead in every conceivable way.) Like dry bones in the Valley (Ezekiel 37:1-14), God’s word can awaken anything. Don’t miss the wider meaning of Jesus’s final words in this story, “Unbind him, and let him go.” God’s word is an invitation to freedom. This is the privilege we have had in Wycliffe: introducing people to a God who not only speaks their language, but also knows them intimately to the very depth of who they are and He wants a relationship with them. He will go to any extent to capture their love and attention (Luke 15). Since first joining the work of Wycliffe I have served in a variety of positions including leadership roles in Wycliffe Bible Translators International, now the Wycliffe Global Alliance and SIL International, Wycliffe’s primary partner organization. I was the SIL field director in Cameroon and Chad, West Africa, International Field Director for SIL International, International, Vice President for Personnel, and have served as member of the Board of Directors of SIL International, the Board of the Wycliffe Global Alliance and The Seed Company. I have also served on the Steering Committee for Every Tribe Every Nation, Chaired the Executive Committee of the North America Forum of Bible Agencies, and as President/CEO of Wycliffe Bible Translators USA for nearly 16 years concluding my term of service in that role on March 31, 2019. I attended Pepperdine University and pursued graduate studies in business management at California Lutheran College, and graduate studies in linguistics at the University of Oklahoma (Norman) and at the University of Texas at Arlington. Married to my wife, Dallas, since 1973, we have four adult children: Emily (married to Paul), Scott (married to Sarah), Jeff (married to Caroline), and Tim (married to Heather). We also have two grandkids: the remarkable and handsome Judah Michael, and the exceptional and lovely Audrey Grace. I been thinking about your dad this week too. I was reminded of him as I watched the Pacific episode on the battle at Okinawa. He was such a fine man. Miss him. Baier hugs to you and yours. This is my first visit to your site…and I enjoyed reading the story about your father. I am a Marine Vet, as is Ron Rosser, working in IT. We served proudly, and would do it again if we were needed. 🙂 You, being a son of a Marine puts you in the family of Marines…ooooRah!! !, but even greater…that we are all in the family of God…and we can be excited to know that we will for all eternity live to Glorify His Name together as family. This is the first time that I read your info. I want to write to you and would love to have your e-mail address. I will never forget your kindnes to me in June 2010, when you were here to celebrate with us ’40 years Wycliffe Netherlands’. Joka was in hospital and things did not look good. She went to be with the Lord on July 6. You were a comfort to me. Now I am reading your fascinating book ‘The Finish Line’. More about that in my letter to you later. Rich blessings, Pieter Koen.